Description – This tool is used for determining if a particular fret is higher than the other two around it on your musical instrument. This version has finger holes which give you a better feel and more precision in using the tool. It is made out of aluminum and the sides measure 1 5/16 x 2 x 3 x 4 x 1/16in thick. It works with any scale length between 20.5in and 41in. We sell these in two different versions, Type I and Type II, They are very similar except they have different dimensions. Note: Because of the stylized cross-hatching it can cause the pictures to look like the edges are bent. 1. 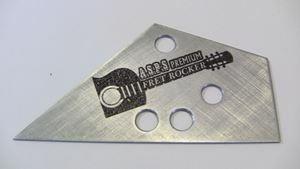 Only Fret Rocker available with diamond honing option. 2. 100% backlight / straightedge inspected for flat-ness. 3. Easy Fix: option if you nick an edge or bend a side. 4. Softer edges meaning less possible marring of frets. 5. Made in NC, USA preventing the use of any foreign child labor in this product. 6. Consumes at least ½ the energy to manufacture than our competitors. We use green energies and recycled packaging whenever possible to reduce our carbon foot print. 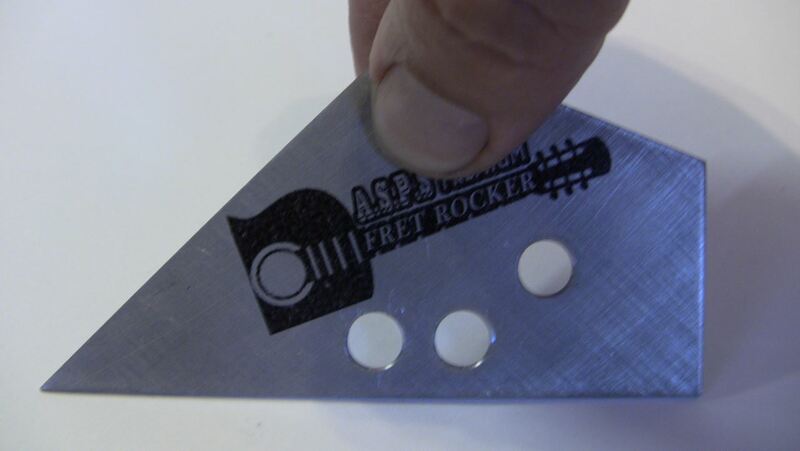 Note: Fret placement on musical instruments are often done by hand and misalignment of the frets as measured by the edge is only an indicator and may not mean a defect in the quality or workmanship of the instrument(s) being checked. Recycled Packaging and Carbon Footprint – It ships in reinforced recycled packaging and we use green energies whenever possible in the manufacturing of this product. We also use bicycles to make our post office shipments whenever possible to reduce our carbon footprint. Compatibility – This rocker will work with any instrument that uses a scale between 20.25 and 41 inches. Don’t ask us what scale your instrument uses, because we won’t know. 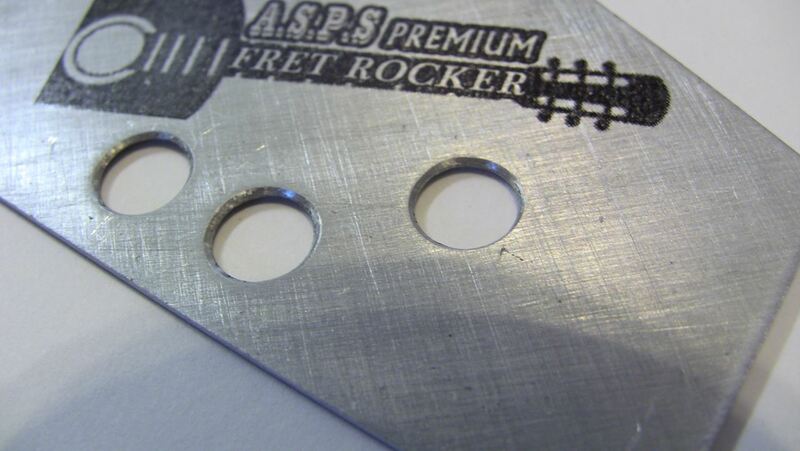 Easy Fix – These edges have a tolerance of about .001in. If you use this item a lot or if you nick an edge you may wish to ‘refresh’ the edge. 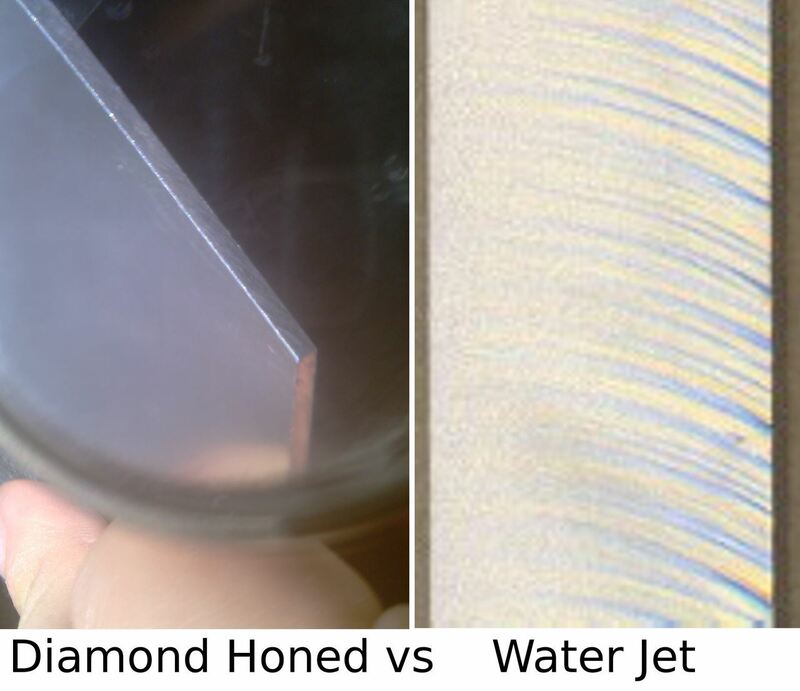 It contains an aluminum alloy that can be reshaped much easier that other alloys. 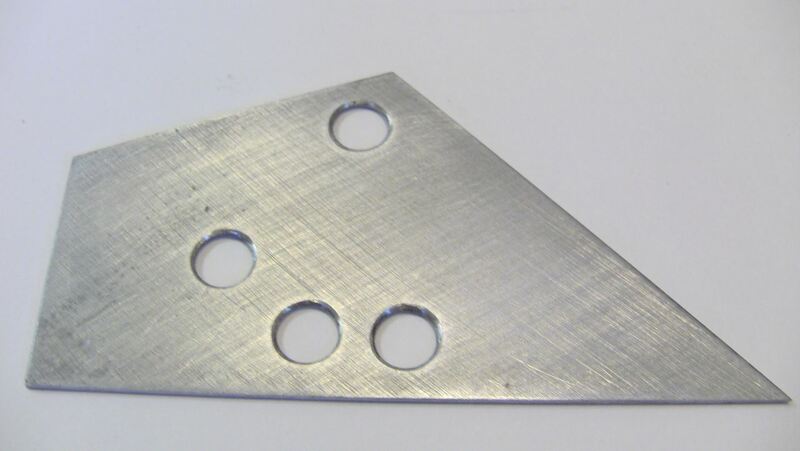 The edge can be refreshed by lightly running the edge on almost any file or a piece of fine sandpaper on a known flat surface. 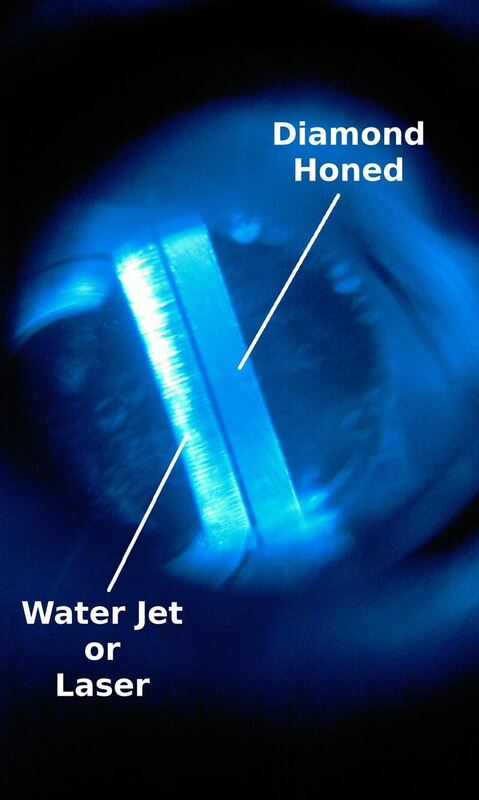 The straightness can be seen by shinning a light behind the edge while it is on a flat surface. It is possible to make the edge .0001in or straighter using this method. If you bend it, it can be straightened by tapping on the backside of the bend with a light hammer and a piece of wood on the aluminum. Q. I found mine was bent in shipment, what should I do? A. From time to time they can get bent in shipment. Fortunately the type of metal they are made from is very forgiving and can be straightened easy. We found the best way is place them on a flat surface, and placing a small block of wood on top, tap on it lightly with a hammer. The edge can also be fixed by running the rocker on a piece of find sandpaper on a flat surface.